Limburger is perhaps more widley known by its aromatics than by anything else, Whew. Personally I think it's gotten a bad "rap", because the heart of this cheese really has an amazing flavor if given the chance. Sometimes you just have to ask it to leave it's coat outside. Limburger was once considered to be the working man's cheese, served on dark bread with onion slices accompanied by a beer. This essentially became the American version of the "Ploughman's Lunch" for the working man. As a kid, I remember the mysterious box hidden in the back corner of the fridge and the fact that my mom never spoke fondly about it being there (to put it lightly). My Dad of coarse had VERY specific instruction on where and how it was to be opened as well as how long it was allowed to be there. 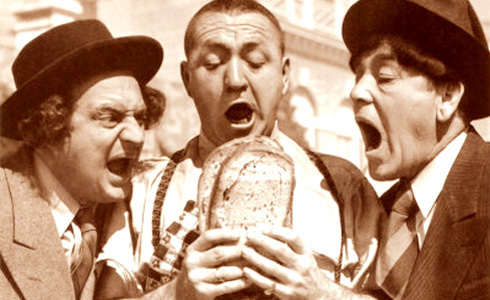 The vaudeville stage also had a lot to say about the "Limburger" situation as did the early animated cartoons. With all of this questionable history and it's fading from the store shelves during the 20th century, why do I make Limburger? Because I am always looking for a cheese that does not have "Star" status and wondering what would happen if we moved it out of the commercial realm and back into the home/artisanal mode where good milk and attention to process detail make such a big difference. Limburger is a soft, creamy cheese with a soft, inedible rind. 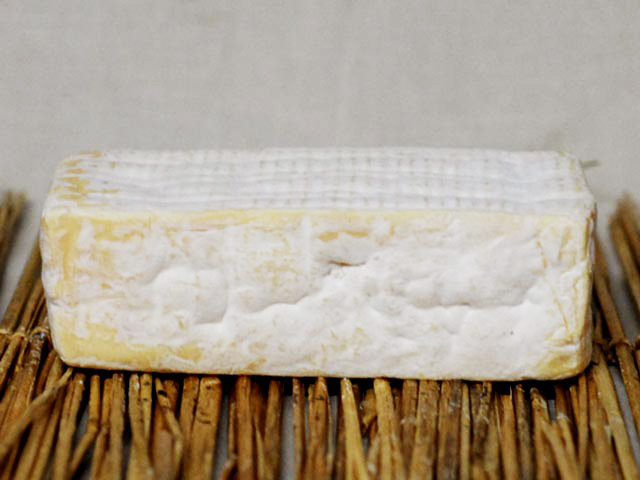 The cheese is usually creamy to pale yellow, with a darker orange rind. It can taste very strong, spicy and aromatic, reminding some consumers of meat BUT this can be controlled by controlling moisture, the frequency of washings, and the amount of aging time. There is a hint of sweetness to this cheese as well. While it is kept cool, it does not have such a pronounced odor as when warm. It is found on the market in blocks five inches square and about two inches thick, wrapped in Manila paper and tinfoil. This cheese is made similar to American Brick cheese but much softer when ripe. The primary difference for the Limburger is the extent of the natural rind formed by washing the surface with a light salt solution over a period of many days to several weeks. During the curing process, the mild brine solution prevents many bacteria and molds from settling in but encourages one special group of bacteria (Brevibacterium linens) to thrive on the surface of the cheese where they begin to break down the proteins inside. The ripening begins from the surface as enzymes are released and continues to the center over several weeks. 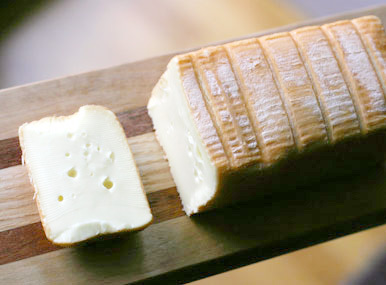 It is this rind that gives Limburger its reputation as a "Stinker." 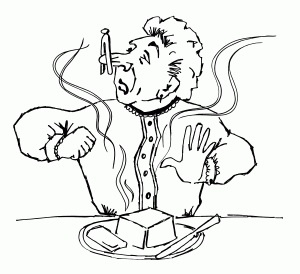 The age old solution to the aromatic problem is to keep the cheese in solitary confinement in a cold place, since it will quickly pass on it's character to the other more less aromatic foods. Limburger needs to be made from a sweet milk (AKA ... fresh fresh fresh!). If the milk were too ripe, the rennet would expel too much moisture and a drier cheese would result. Limburger cheese originated in northern Europe during the 19th century, having originally been created by Belgian Trappist Monks from the province of Luttick in Belgium. It then moved on to Germany where it became extremely popular and the Germans adopted it as one of their very own cheeses. It's manufacture in America was carried on by the Swiss and German rather than by Belgian emigrants. For them, it was a nostalgic, cheap saloon food. They liked it in a sandwich, with pumpernickel, spicy mustard, raw onion, and cold beer, in all a collection of strong tastes. By the late 20th century, most Limburger was produced in Germany and the United States, and today even the Belgians regard it as a German cheese. 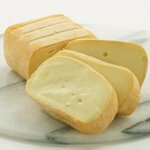 In America, a Swiss immigrant named Rudolph Benkert cured the first Green County Wisconsin Limburger in his home cellar in 1867. The following year Nicholas Gerber, another Swiss immigrant, established the first Limburger factory in the area. Taverns all over the county were soon serving the potent cheese with locally-brewed beer, a combination patrons relished so much that when saloons closed during Prohibition, Limburger sales went into decline. 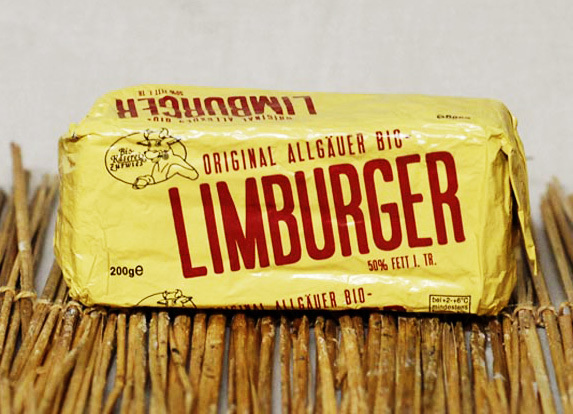 Limburger lost fashion during the great food migration to refrigeration, when food became ‘cleaner,’ ‘safer,’ less smelly and more sterile than ever before. 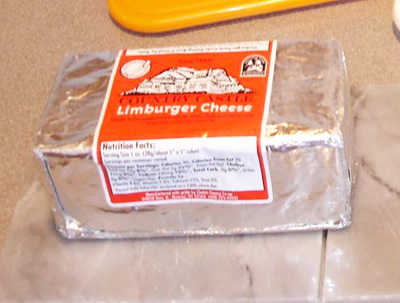 Today, a single cheese plant in Monroe, Wisconsin (Chalet Cheese Cooperative), produces all the surface-ripened Limburger made in the United States. Myron Olson of Chalet Cheese Co-op, a veteran cheese maker of 43 years and one of Wisconsin's "Master Cheese Makers" currently presides over his domain of Limburger. Limburger has many cousins in the cheese world such as the similar but milder Herve from Belgium, Muenster from Alsace, Livarot and Epoisses from France (just ask Ricki about the latter one and our French trip), and Tilsit from Germany. The big difference in the aroma, flavor, and texture of these cheeses is in how much moisture is retained in the final cheese, how often they are washed, and how long and at what temperature they are aged. More moisture in making and extended washings will increase the "attitude" of this cheese, whereas decreasing these will make for a milder cheese. Shorter ripening time and cooler temperatures will also lead to a bit milder cheese and conversely the opposite will have you looking for an "isolation chamber" for the cheese.